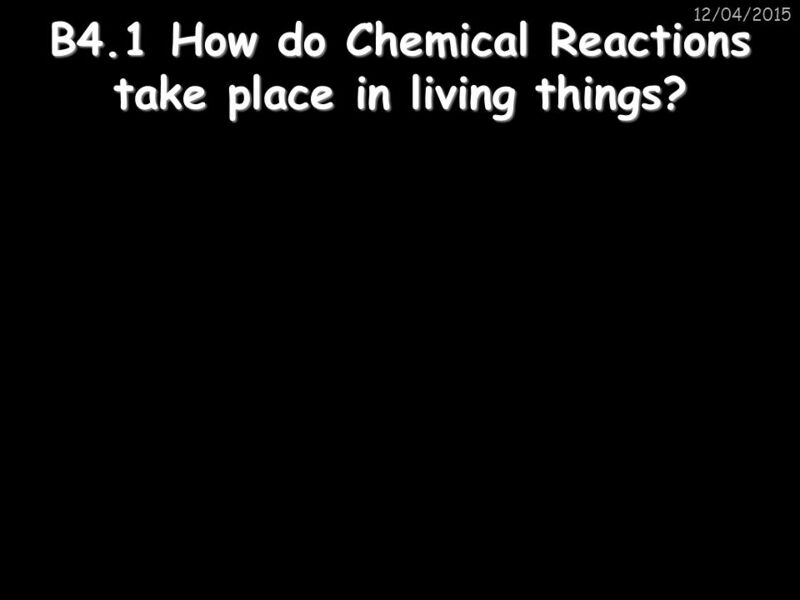 2 B4.1 How do Chemical Reactions take place in living things? 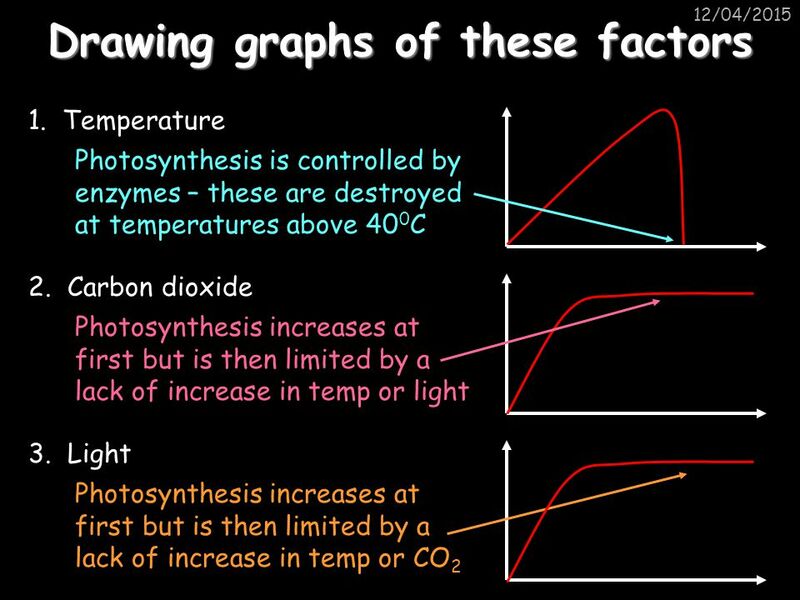 10/04/2017 B4.1 How do Chemical Reactions take place in living things? 10/04/2017 I enjoy taking samples using quadrats. In order to do this, I need energy. Where does this energy come from? 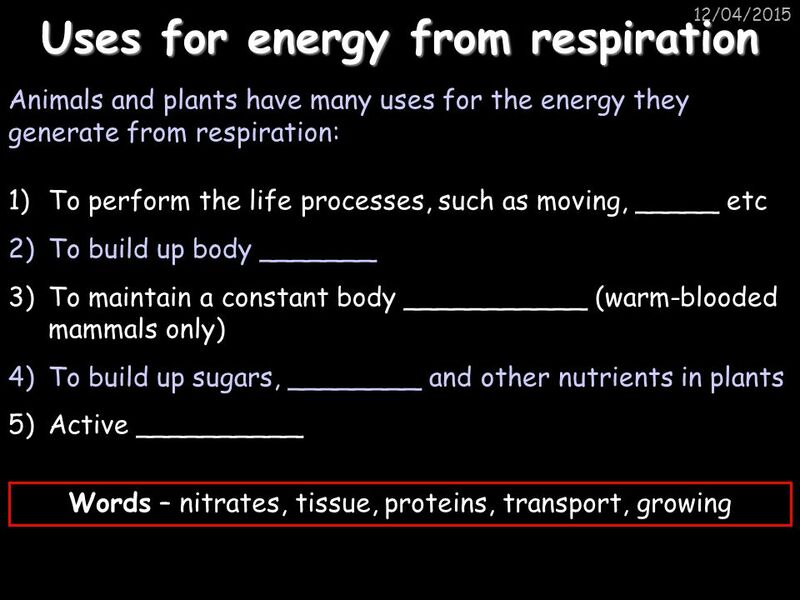 All living things, including plants, get their energy from respiration. 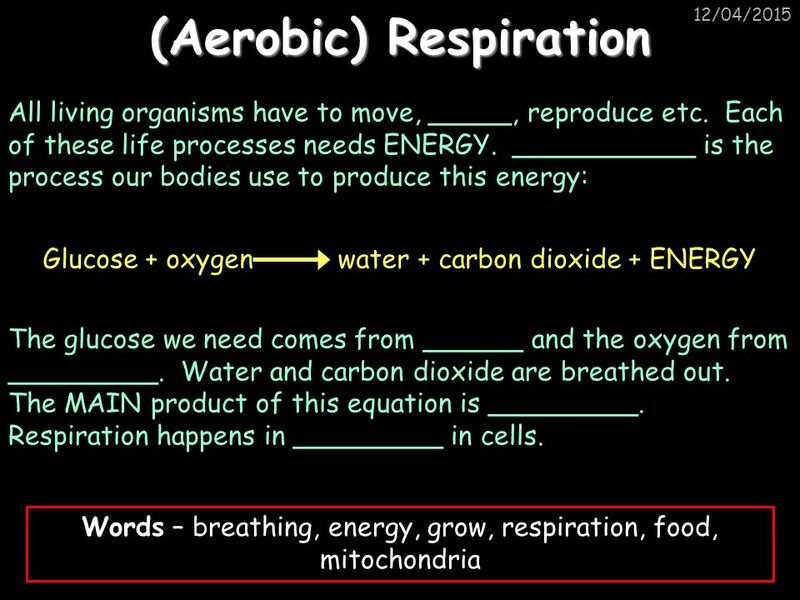 Respiration is basically the process of breaking down the large food molecules that were probably originally made in plants. 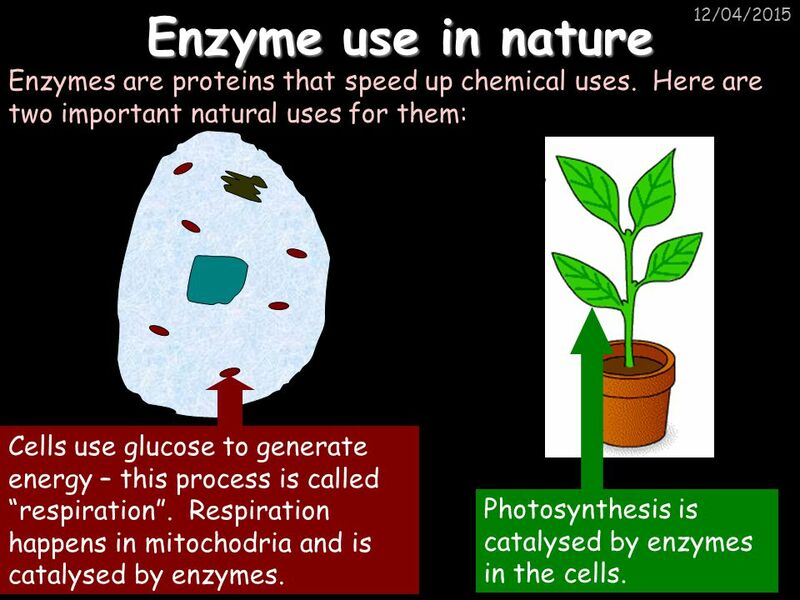 5 Enzyme use in nature 10/04/2017 Enzymes are proteins that speed up chemical uses. 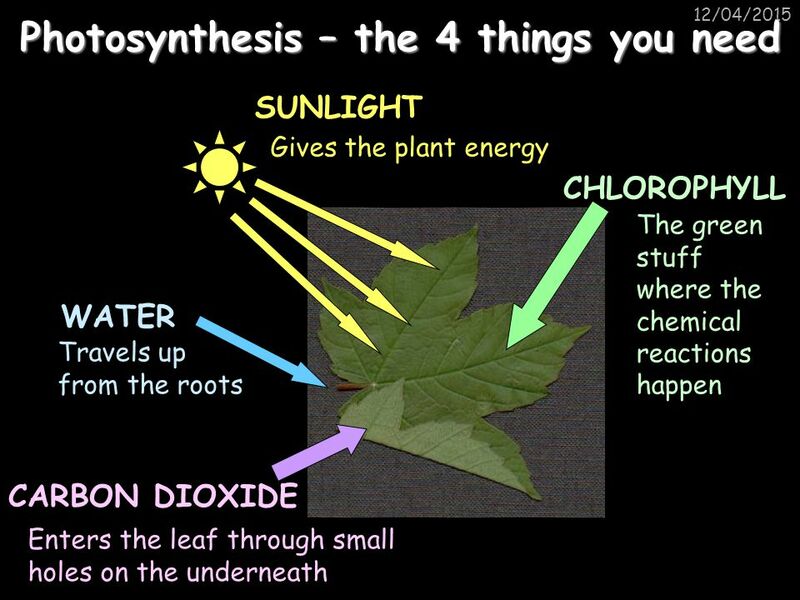 Here are two important natural uses for them: Photosynthesis is catalysed by enzymes in the cells. 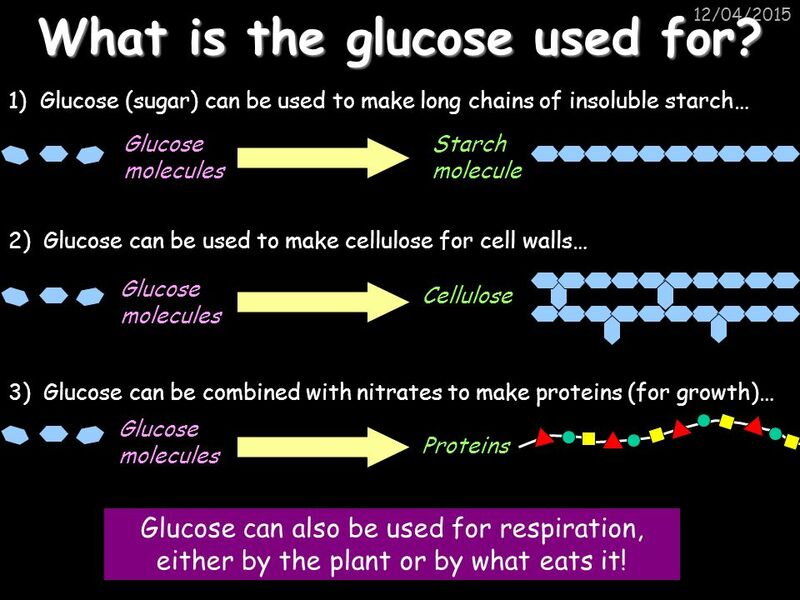 Cells use glucose to generate energy – this process is called “respiration”. 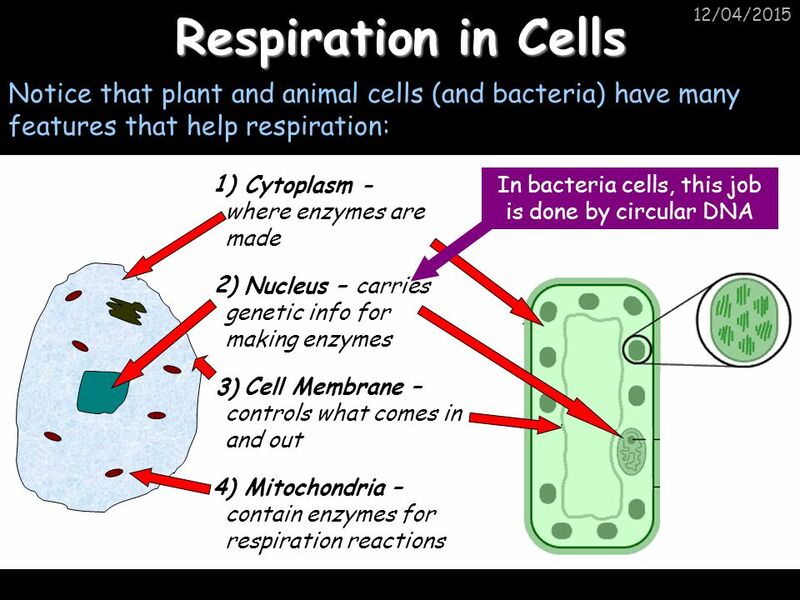 Respiration happens in mitochodria and is catalysed by enzymes. 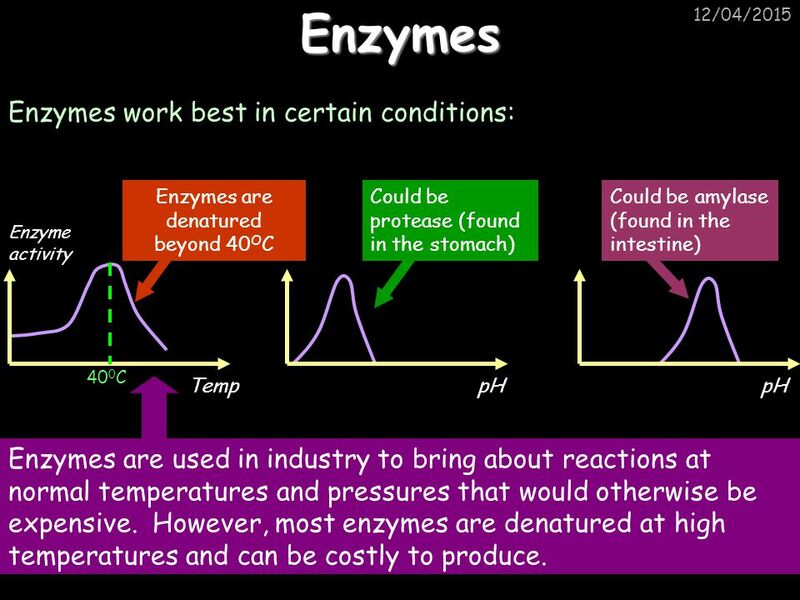 10/04/2017 Enzymes work best in certain conditions: Enzymes are denatured beyond 40OC Could be protease (found in the stomach) Could be amylase (found in the intestine) Enzyme activity Temp pH 400C Enzymes are used in industry to bring about reactions at normal temperatures and pressures that would otherwise be expensive. However, most enzymes are denatured at high temperatures and can be costly to produce. 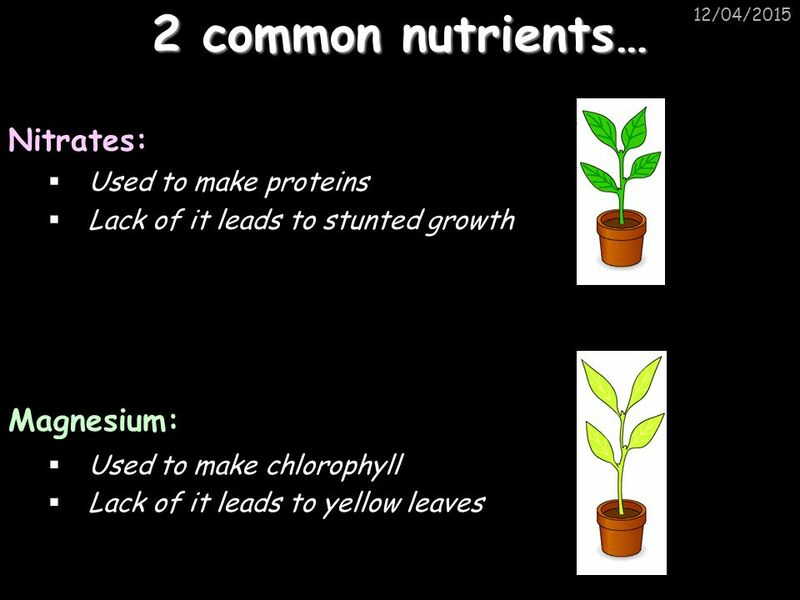 9 B4.2 How do Plants make food? 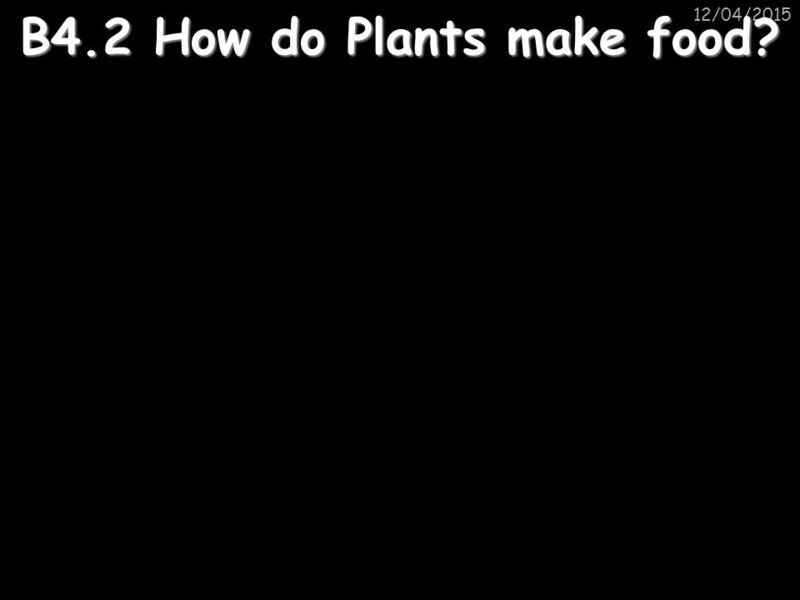 10/04/2017 B4.2 How do Plants make food? 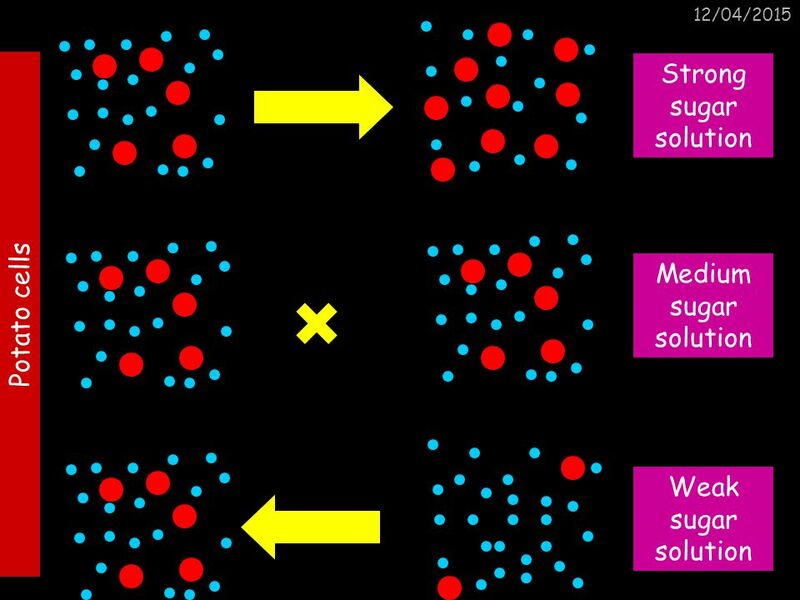 12 What is the glucose used for? 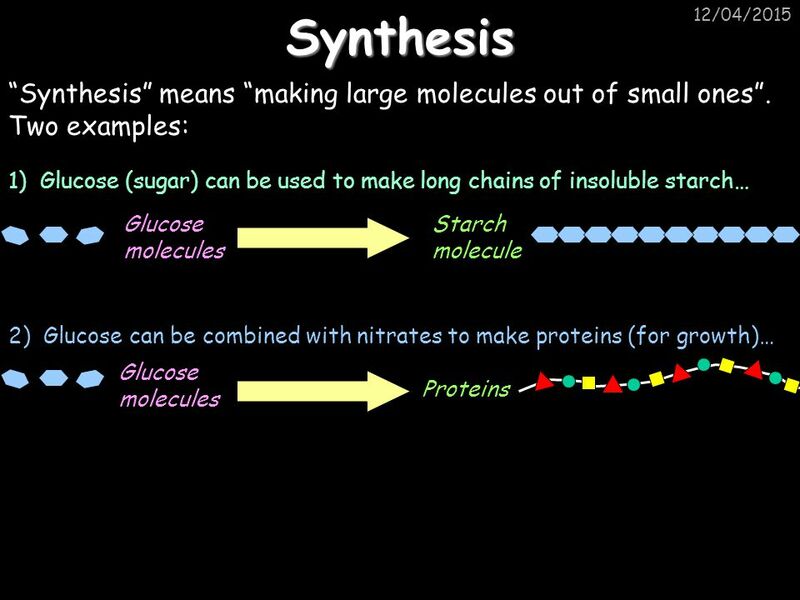 10/04/2017 1) Glucose (sugar) can be used to make long chains of insoluble starch… Glucose molecules Starch molecule 2) Glucose can be used to make cellulose for cell walls… Glucose molecules Cellulose 3) Glucose can be combined with nitrates to make proteins (for growth)… Glucose molecules Proteins Glucose can also be used for respiration, either by the plant or by what eats it! 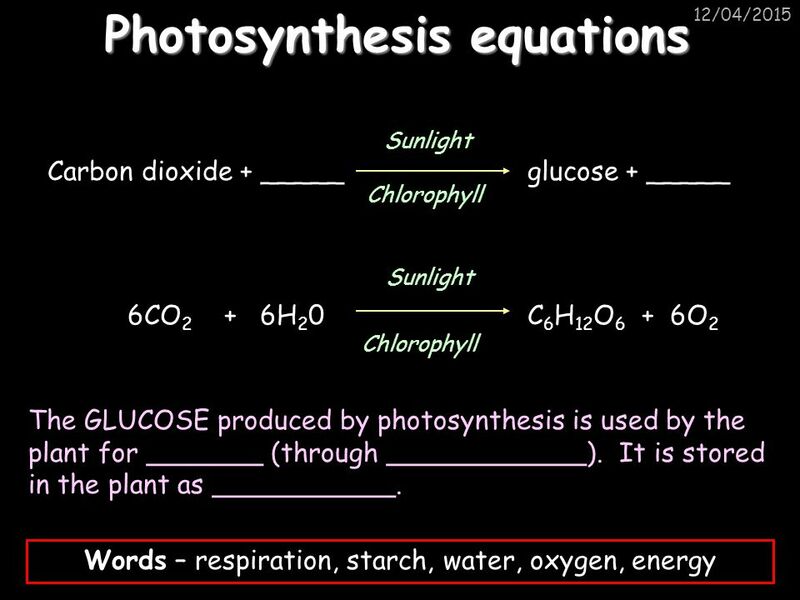 15 Carbon dioxide and oxygen pass in and out of leaves by diffusion. 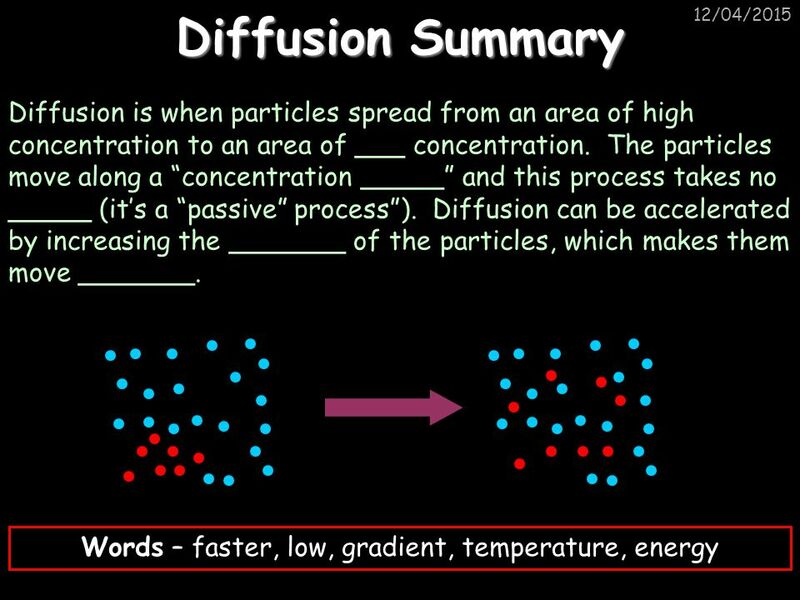 10/04/2017 Diffusion is when something travels from an area of high concentration to an area of low concentration. 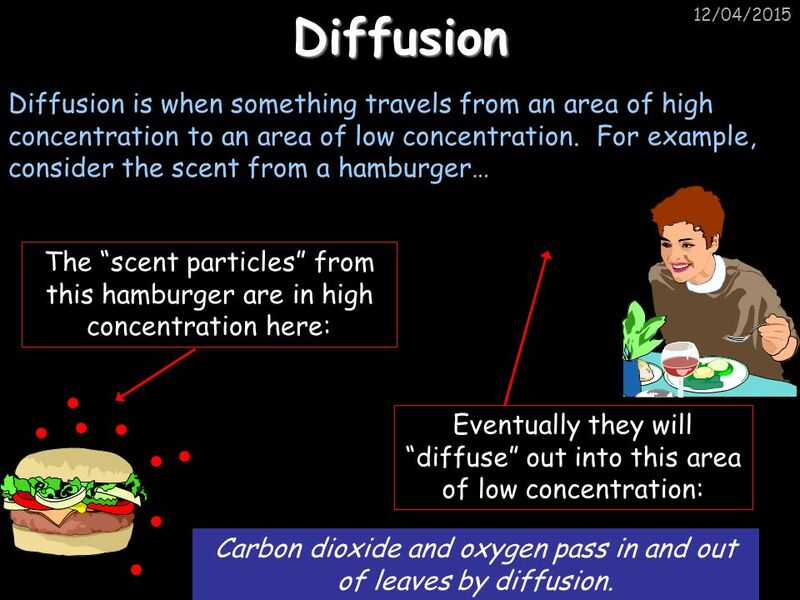 For example, consider the scent from a hamburger… The “scent particles” from this hamburger are in high concentration here: Eventually they will “diffuse” out into this area of low concentration: Carbon dioxide and oxygen pass in and out of leaves by diffusion. 10/04/2017 Mineral Less concentrated More concentrated Carbon dioxide diffuses into the leaf through holes in the bottom surface. 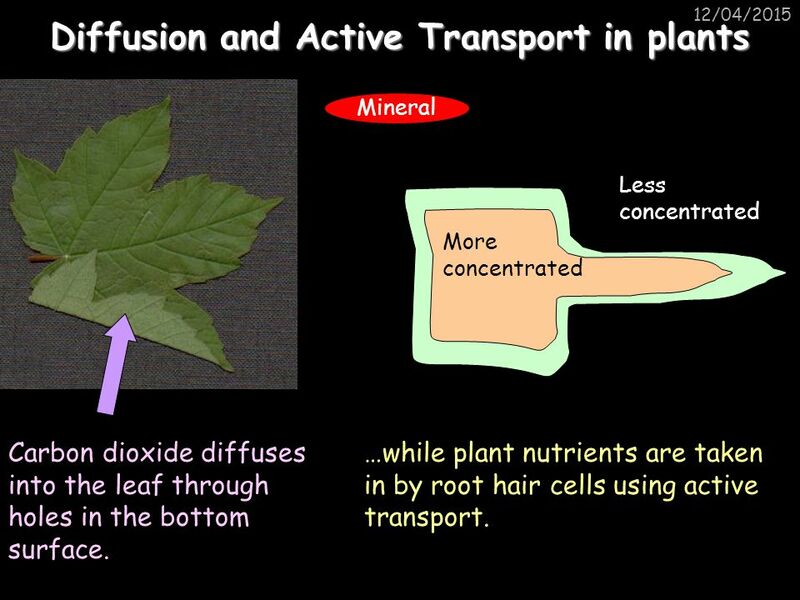 …while plant nutrients are taken in by root hair cells using active transport. 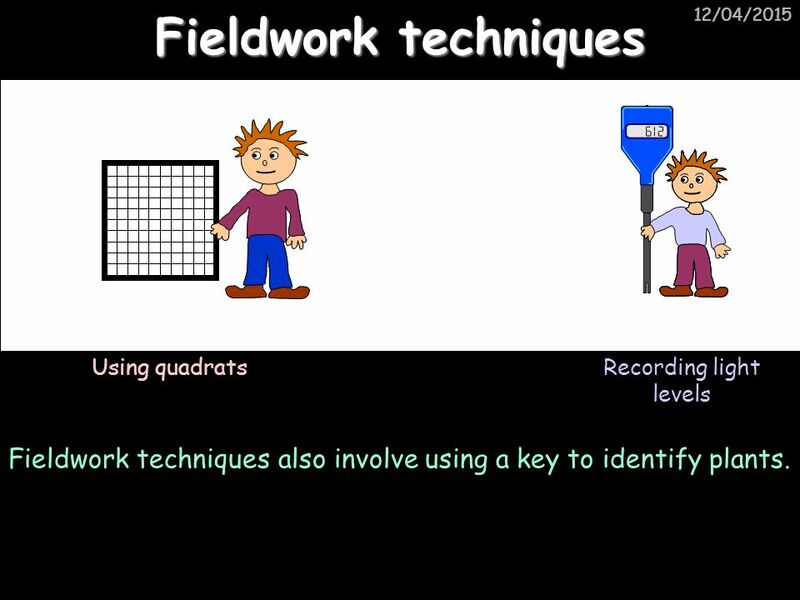 Fieldwork techniques 10/04/2017 10/04/2017 Recording light levels Using quadrats Fieldwork techniques also involve using a key to identify plants. 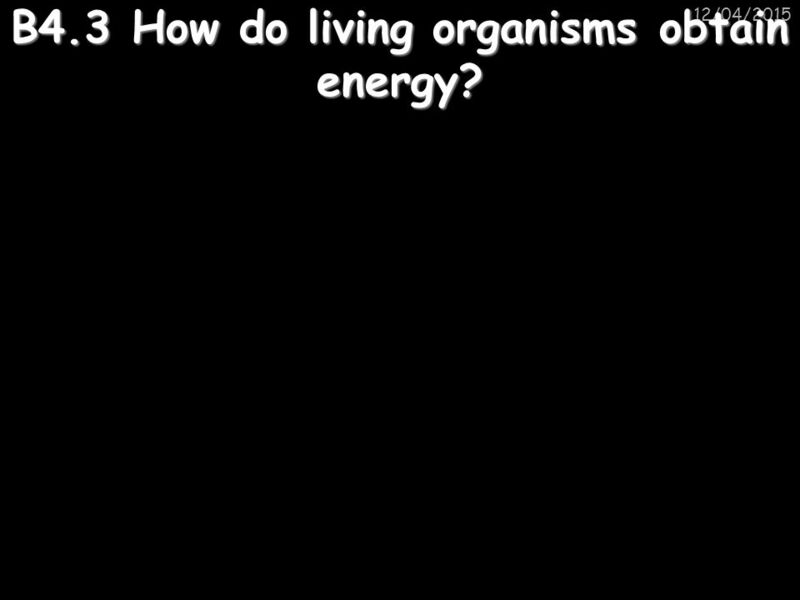 25 B4.3 How do living organisms obtain energy? 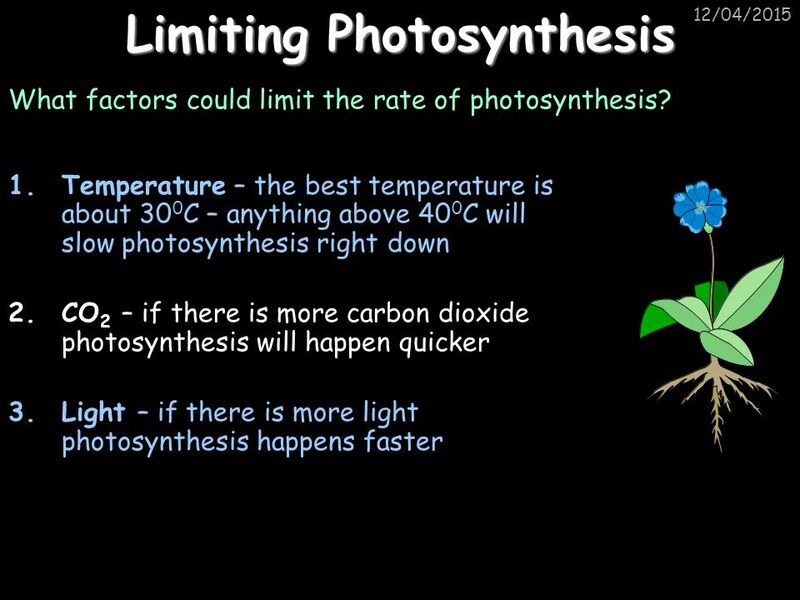 10/04/2017 B4.3 How do living organisms obtain energy? 10/04/2017 I enjoy taking samples using quadrats. In order to do this, I need energy. Where does this energy come from? 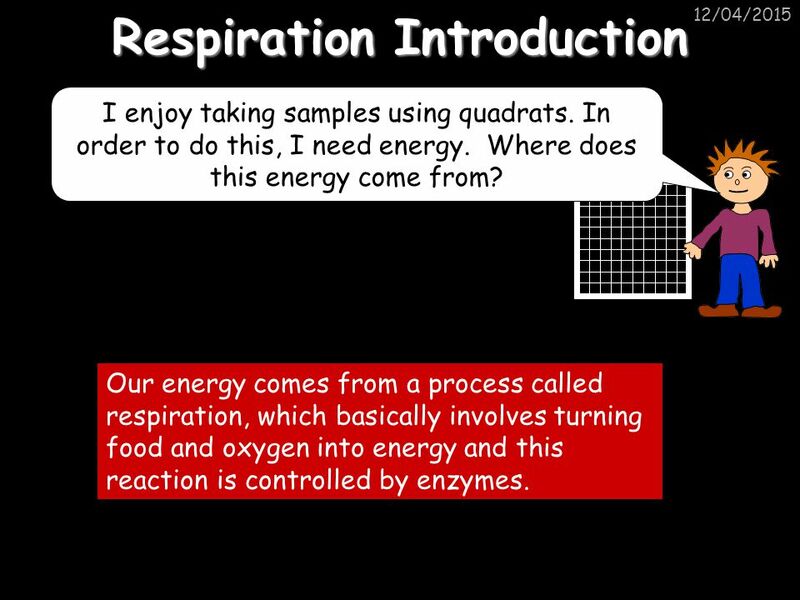 Our energy comes from a process called respiration, which basically involves turning food and oxygen into energy and this reaction is controlled by enzymes. 30 Muscles and exercise 10/04/2017 When we exercise our muscles are supplied with more oxygen and glucose, increasing the rate of respiration. 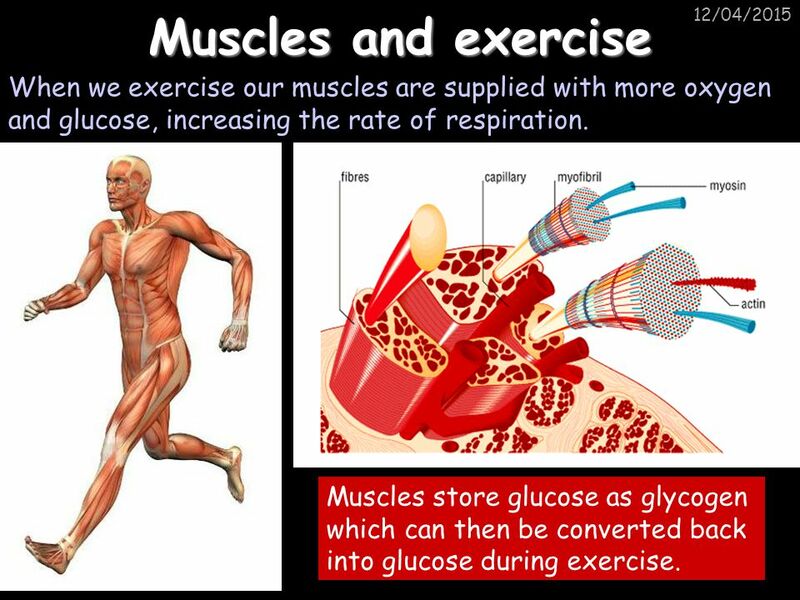 Muscles store glucose as glycogen which can then be converted back into glucose during exercise. 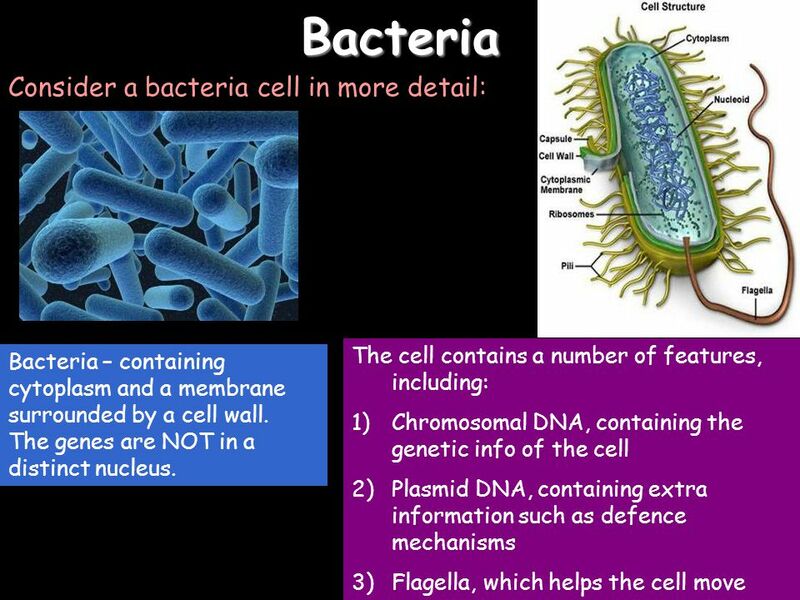 The cell contains a number of features, including: Chromosomal DNA, containing the genetic info of the cell Plasmid DNA, containing extra information such as defence mechanisms Flagella, which helps the cell move 10/04/2017 Consider a bacteria cell in more detail: Bacteria – containing cytoplasm and a membrane surrounded by a cell wall. The genes are NOT in a distinct nucleus. 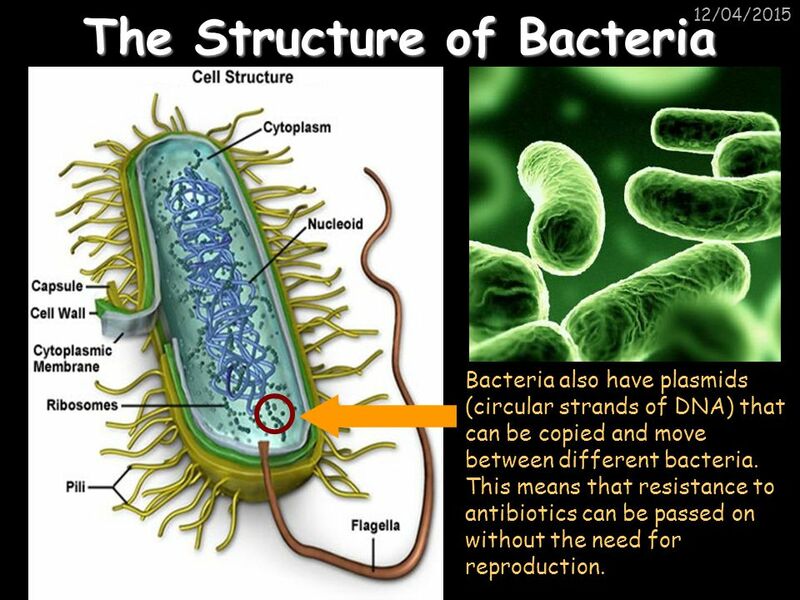 10/04/2017 Bacteria also have plasmids (circular strands of DNA) that can be copied and move between different bacteria. This means that resistance to antibiotics can be passed on without the need for reproduction. 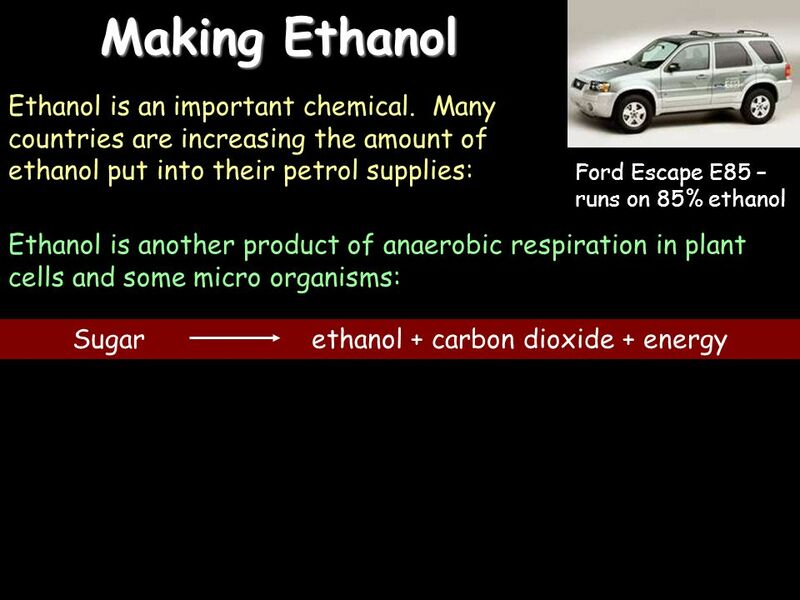 10/04/2017 10/04/2017 Anaerobic respiration in micro organisms is used to make fuels through: Manure or other waste that can be used to release methane (biogas) Corn or sugar cane that can be broken down in a fermenter to produce alcohols like bio-ethanol. 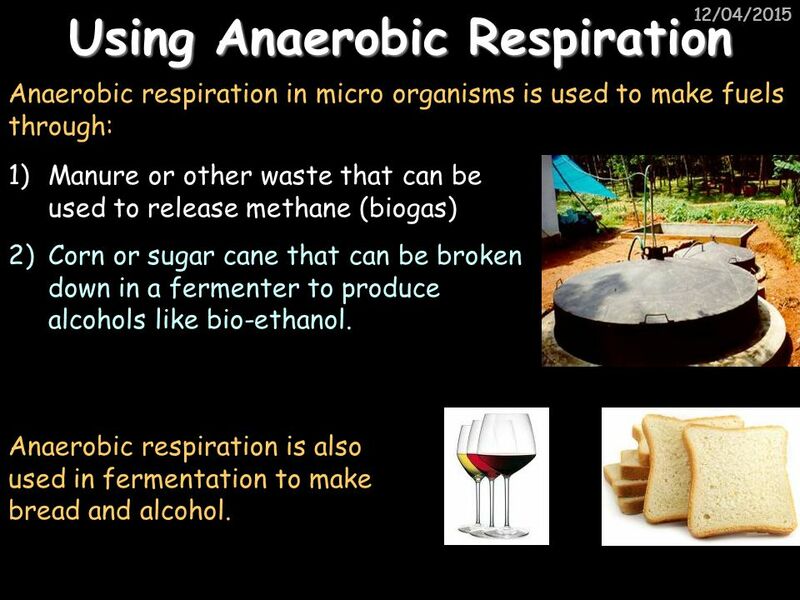 Anaerobic respiration is also used in fermentation to make bread and alcohol. 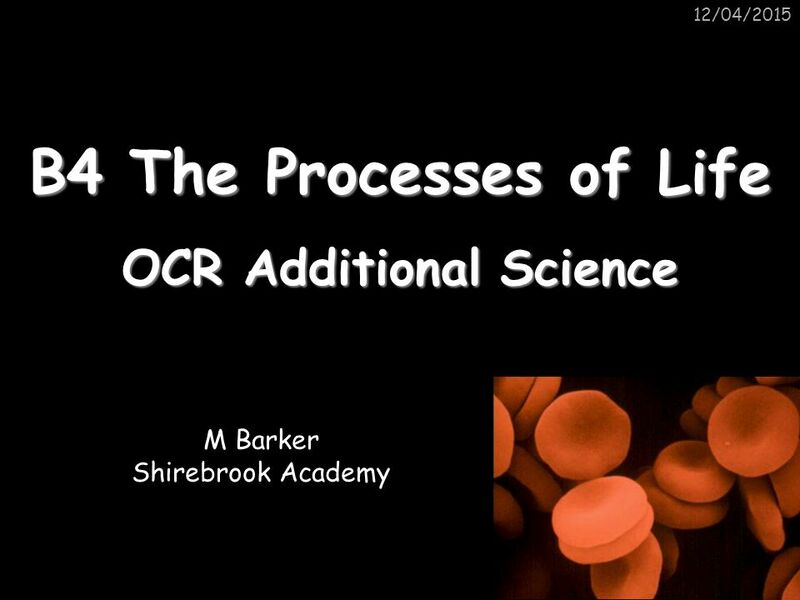 Download ppt "OCR Additional Science"
The Cell in Action Guided Notes. CELL PROCESSES What keeps them alive?. 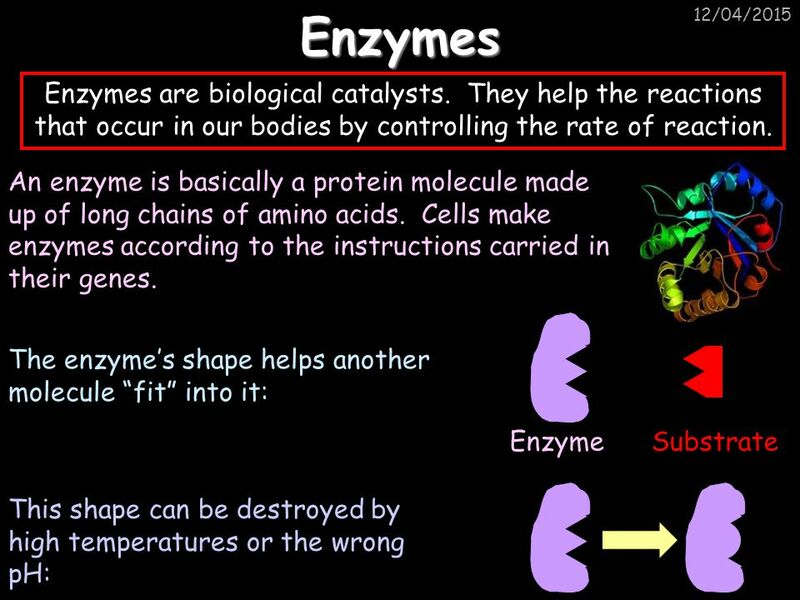 5 a day revision B4 - Enzymes Explain the lock and key model. According to the most widely accepted model to be classified as living there are 7 key life processes M R S G R E N Describe the changes in the body that. 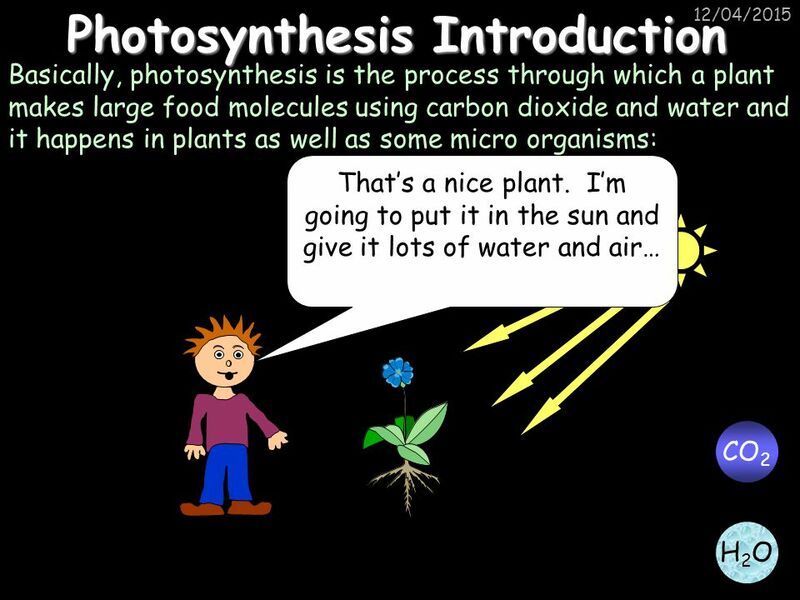 How is energy being obtained by the organisms in this picture? 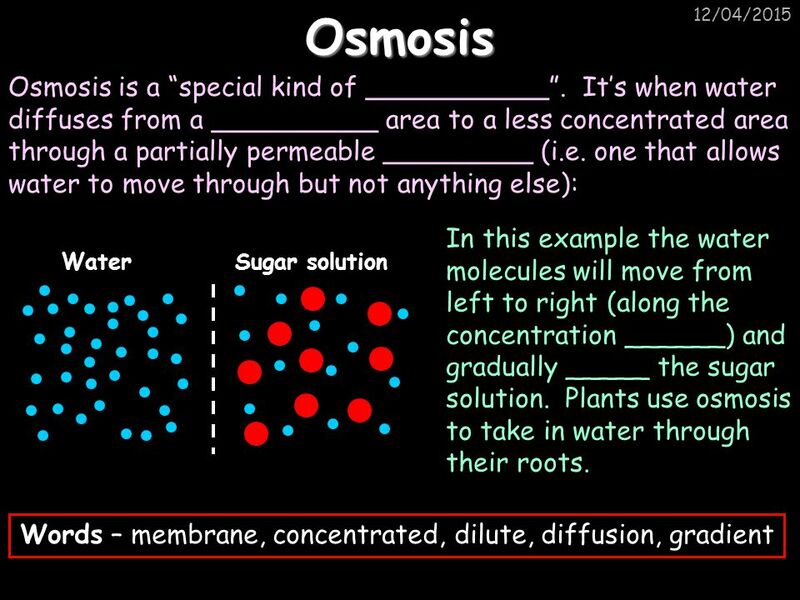 How do the functions of the nucleus differ from those of the cell membrane? The nucleus converts food energy while the cell membrane stores minerals and. The Cell in Action Ms. Samuelian. 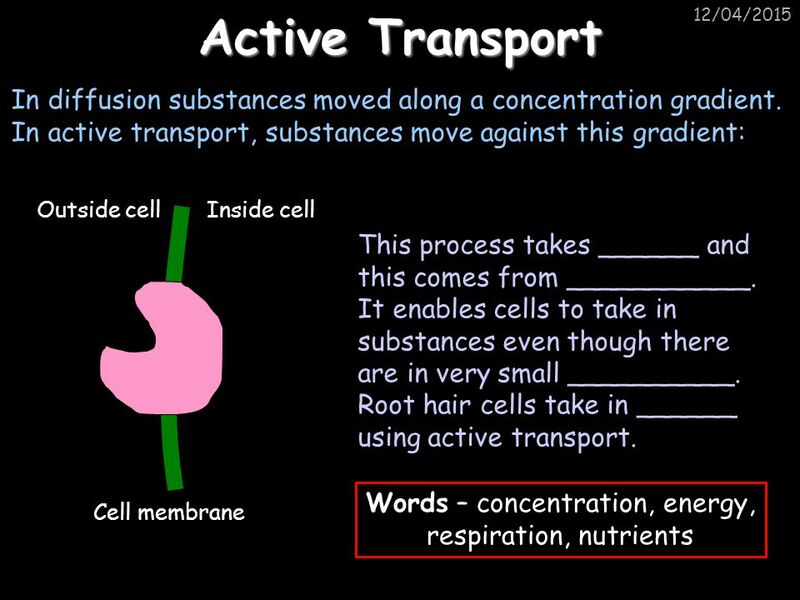 * Substance moves into cells (water, gases, food) * Substances move out of cells (waste, excess water, gases) * Cell membrane controls movement. 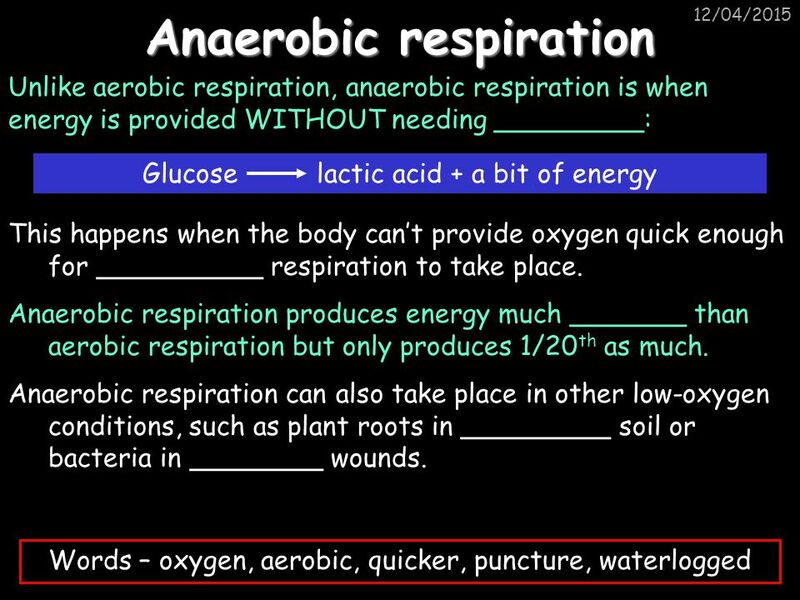 B2 Exam Revision. 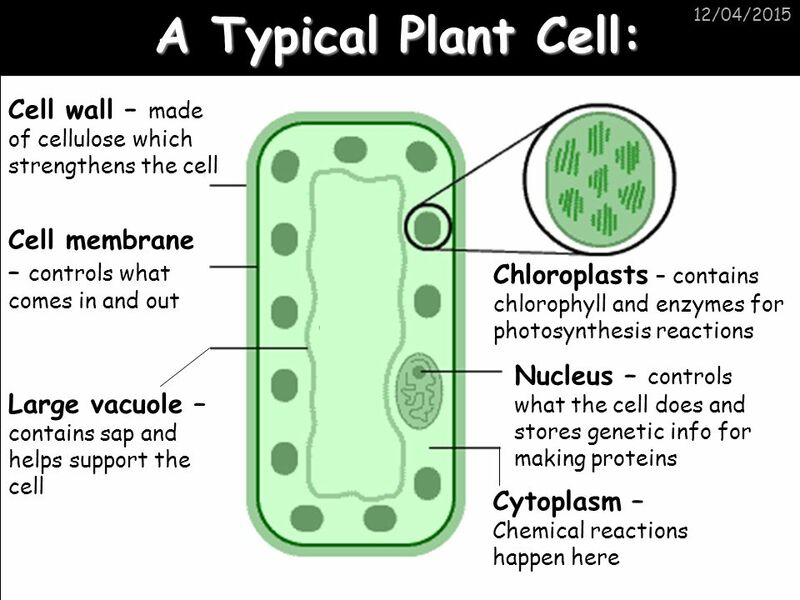 Plant cells vs. 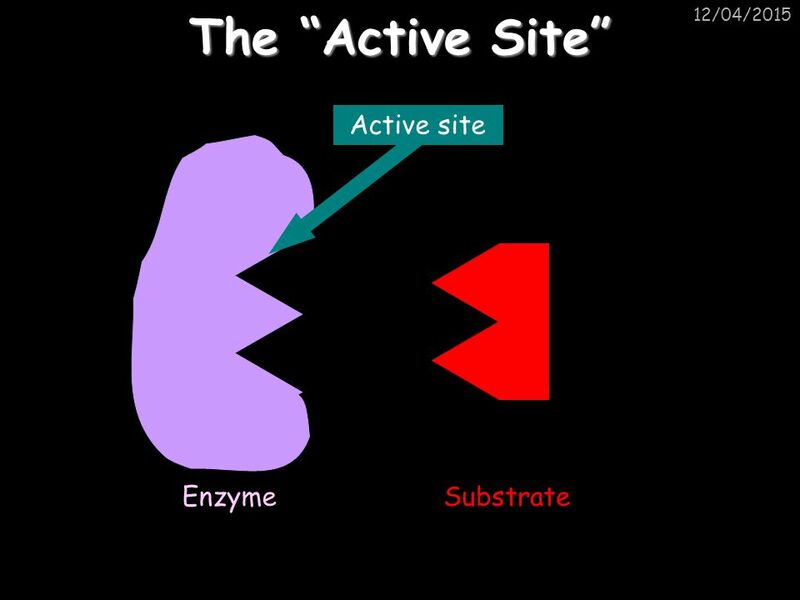 Animal cells Both types of cell have these: Only plant cells have these: Nucleus This controls the cell Cytoplasm This. 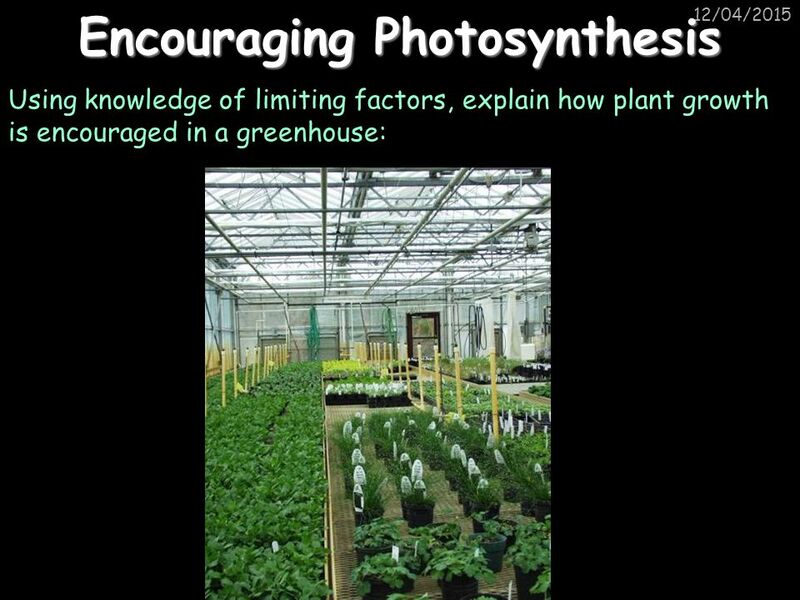 Photosynthesis and plant cells Photosynthesis and plant cells. 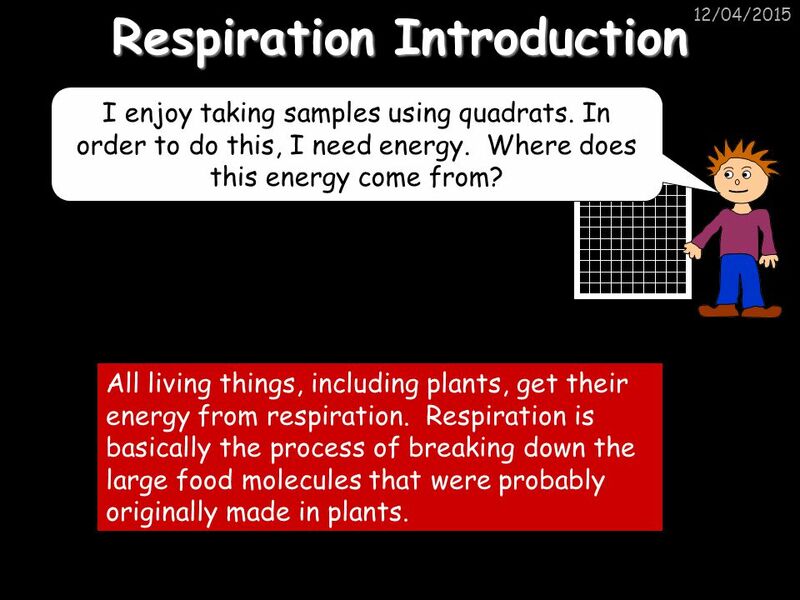 OCR 21 st Century Science Unit B4 Revision Animal and Plant cells Respiration and Photosynthesis. INTERACTIVE MULTIPLE CHOICE QUESTIONS The answers are provided, but so also are explanations of why the alternatives are unsatisfactory © D.G. Mackean.